Magnetic therapies can and should be combined with other therapeutic approaches. It is rare for complementary therapies to interfere with one another. It is sometimes difficult to find advice about combining therapies, primarily because physicians tend to have specialties. Practitioners of any discipline who only practice one discipline (even though with excellence), tend to know little about other therapeutic options. Integrative medicine urges people to know as much about their health as possible, and to explore a wide range of therapeutic options to achieve optimum health. This includes proper nutrition and a healthy lifestyle. You should always consult your physician before beginning a new therapy. Because PEMF therapies work on such a basic level, their effects are almost always enhanced with the use of other modalities. That being said, there is usually a best practice in terms of sequence of use, duration of treatment, and time between applications. PEMF therapy may be used at the same time that acupuncture is being used. Magnetic fields have been found to stimulate acupuncture points and meridians. 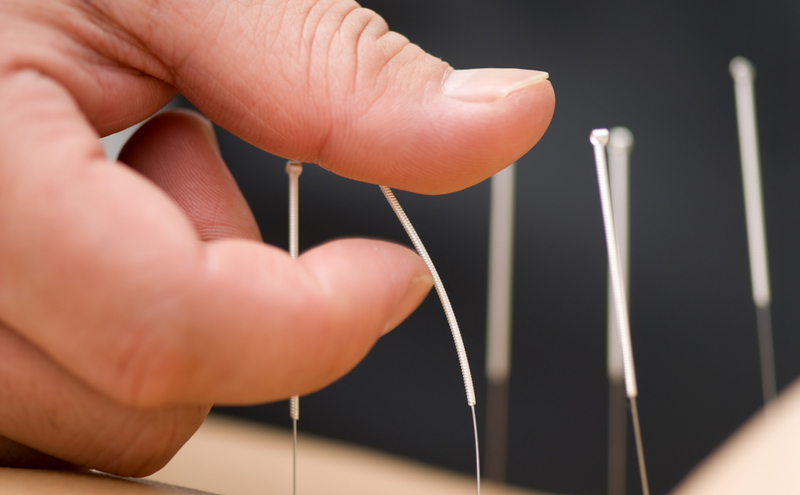 Acupuncture needles are temporarily stronger in action than magnetic fields; needles with current applied are even stronger. Conversely, moxa, acupressure and cupping are not typically as strong in their actions as magnetic fields. When acupuncture is the desired therapeutic approach, but the patient is not comfortable with the needles, magnetic field therapy is an excellent alternative. 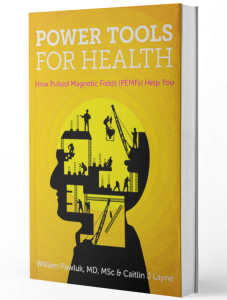 Since magnetic fields act more directly on cells and tissues through which they pass than acupuncture, you can use them together to gain the benefits of both. For example, in the case of spinal arthritis—a deep joint problem with significant pain—often multiple tissues are involved. The magnetic field therapy will get at any edema in muscles, ligaments or nerves, as well as relax muscles and start cellular repair of both joints and other soft tissues. Acupuncture helps pain almost immediately. The secondary actions of acupuncture on the immune system, other hormones and repair mechanisms take more time to happen and can easily be overwhelmed or reversed by other events in a person’s life or processes happening in the body. This means that with both therapeutic systems, you can expect the primary actions of both to be more active than waiting for secondary actions of either one to kick in. If a patient wishes to use both types of therapies on the same day, it would be recommended do the PEMF treatment first, and then follow with the acupuncture. The magnetic field therapy will start any action on the tissues directly, and rebalance all the cells, while the acupuncture will start with the systemic actions. 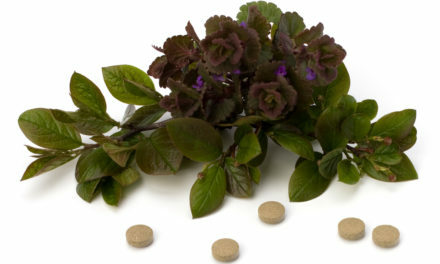 When the secondary effects of both kick in, the overall therapeutic action of each is greatly increased. Chiropractic manipulation and massage work directly on muscles, superficial soft tissues, and ligaments to reduce tightness, spasms, strains, and subluxations. These forms of bodywork help to stimulate acupuncture points and meridians, improve circulation to tissues, and relax muscles. Secondarily, massage works to flood the body with endorphins. Since many toxins and wastes are stored in muscles, along with a great amount of tension and related blockages of circulation, regular massage would help most of us to maintain better health. Best benefit would likely be garnered from using the magnetic therapy first, followed by chiropractic manipulation, massage, or physical therapy. Magnetic field therapy would help the person and muscles to relax before massage is started, thereby requiring less work on the therapist’s part to get deeper into tissues for much deeper stimulation. Regular (especially daily) use of whole-body magnetic field therapy at home would decrease the need for manipulation or massage by keeping tissues detoxified and relaxed, while keeping the cumulative physical effects of stress to a minimum. Even so, massage has more direct physical action on the muscles themselves than magnetic therapy, which is why the combination of regular local and/or whole body PEMF therapy and chiropractic work would keep the body from aging as quickly and help to prevent problems from developing or worsening. Infrared is invisible radiant energy and is part of the electromagnetic spectrum. Its wavelengths are longer that those of visible light, but significantly shorter than the wavelengths used in PEMF devices. Because of this, infrared typically is not able to penetrate the body very deeply – within an inch of the surface of the skin, most of the signal will have dissipated. In a therapeutic setting, the term infrared usually refers to near infrared as opposed to far infrared. Most infrared systems are intended for local application and tend to be primarily available in practitioner’s offices or, in the case of far infrared, in saunas. The goal of both near and far infrared is heating. Infrared can be used alongside PEMF therapy for added benefits. The person is essentially going to be getting a broader spectrum of frequencies when these modalities are combined. 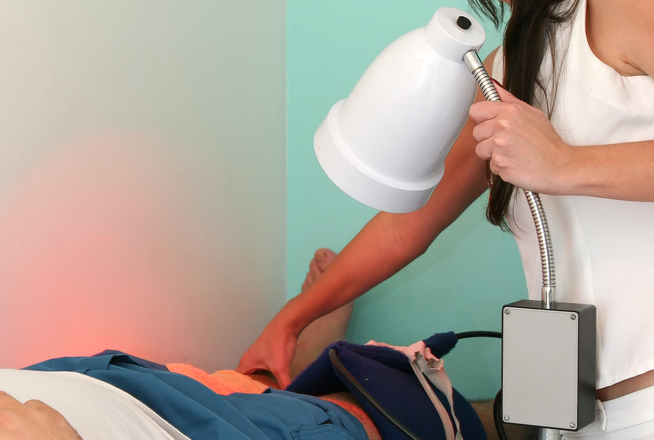 Infrared may help acute problems more quickly than PEMF therapy, so in the case of an acute injury, we suggest the person use infrared first and follow that with PEMF treatment. Otherwise, PEMF therapy can be used first and infrared therapy used secondarily. In a therapeutic setting, the term laser usually refers to low-level laser (as opposed to the tissue-destructive lasers used for ablation, skin lesions, and the like). Low level lasers are often used in a similar way as infrared. Laser beams are narrow and focused, so they are able to penetrate the body more deeply than infrared. Lasers may be used with different colors and therefore have the combined benefits of the laser frequencies along with the color benefits. Most therapeutic lasers are red. Because of the intense, very high-frequency and focus of the laser beam, PEMFs will have use in a wider area of treatment and will interact with tissues at lower frequencies. Low-frequency PEMFs penetrate the body completely, but lasers tend to be more superficial in their depth of penetration. Lasers cannot be used safely around certain body structures, such as the eyes and brain. For the most part, PEMFs do not have these limitations. PEMFs may be used simultaneously with low-level laser, or before or after laser therapy. 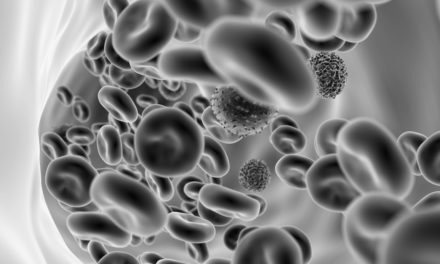 Chelation therapy, whether IV or oral, creates significant movement of electrolytes, minerals and metals in and out of cells. This movement (especially if it’s calcium, sodium and potassium) may create significant interaction with magnetic field therapy. There is not any extensive research available regarding chelation and PEMF therapy used concurrently. Based on the few experiences we do have with these modalities being used together, and the resulting significant temporary side effects, it is not recommended that chelation and magnetic field therapy be used on the same day. It doesn’t matter which modality is used first. Chances of a temporary negative interaction increases with whole-body PEMF exposure. At this point, because of our minimal experience, we do not advocate whole body exposure on the same day as chelation until practitioners who use both therapies have gained more experience and can give us better guidance. Active light therapy can include lights or lamps that radiate specific colors, having colored crystals applied, use natural spectrum lighting, etc. Specific colors are used to generate specific actions and reactions in the body. Lighting systems, like with laser and infrared, are limited by the thickness of the tissues exposed. They are often blocked by clothing. PEMFs will not interfere with this therapy, and may be used alongside with light therapies. To avoid frequency interference, we suggest PEMFs be used prior to light therapy if used on the same day. We have worked with many practitioners who combine PEMF therapies along with psychological approaches. Most PEMF systems cause people to become relaxed. There are specific PEMF devices which have selectable frequencies that can be specifically used to tune the brain into different levels of relaxation, from light to very deep. PEMFs can be used for stress reduction, and then because the person is more relaxed, they can more effectively participate in psychological therapy approaches. In this case, it is recommended to do the PEMF therapy before and/or during psychological therapies. Many of the effects of ozone therapy are comparable to effects of PEMF therapy. Ozone works internally to create the production of oxygen in tissues. PEMFs also improve oxygenation and circulation. Research done in Cuba found that combining PEMF with ozone therapy increases the benefits of ozone over standard therapy for arthritis of the knee. To be effective, ozone has to be absorbed by the tissues, enter the circulatory system, then be distributed to tissues. By the time the ozone gets into the tissues, it may be diluted dramatically. Because PEMFs will assist in this dispersion, we recommend these therapies be combined to improve effectiveness. Homeopathy is based on an almost completely different set of principles than magnetic field therapy. Homeopathy relies on principles of similar resonance. 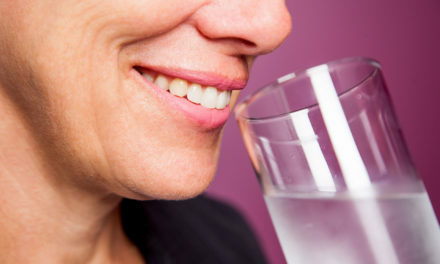 To be effective, homeopathic remedies must resonate with the symptoms of the person being treated. PEMFs produce frequencies that could potentially interact with the frequencies of homeopathic remedies. 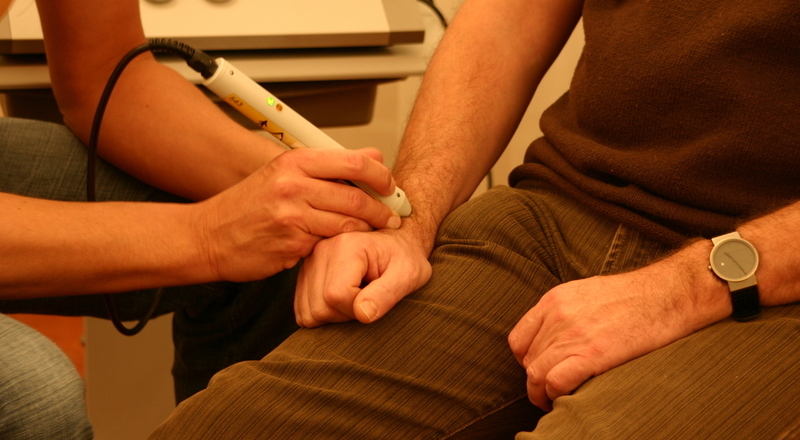 PEMF frequencies are typically much lower than those of homeopathic remedies. That means that PEMF frequencies are expected to interact with homeopathic remedies as a result of harmonic resonance where their frequencies overlap. Even so, the likelihood of harmonic interaction is probably very low. Since it is not known for certain whether homeopathic remedies could be canceled out by PEMFs, it is suggested that the patient use these modalities at different times. Preferably, the patient would use the magnetic therapy first. In fact, several days of magnetic therapy use may very well help to clear the terrain before homeopathy might be applied.